There aren’t words to describe how grateful I am when I get hired to be a family’s maternity and newborn photographer! The family first emailed me about taking engagement and pregnancy announcement photos. That led to me being their Puyallup newborn baby photographer too! Its such an honor for me to be able to photograph a baby from belly to earth side! When I met the parents at their initial session, we hit if off right away! Mom is such a kind, vibrant woman and Dad is a calm, loving partner who is so in love with his future wife! They compliment each other in the best ways! They really are each other’s yin and yang! 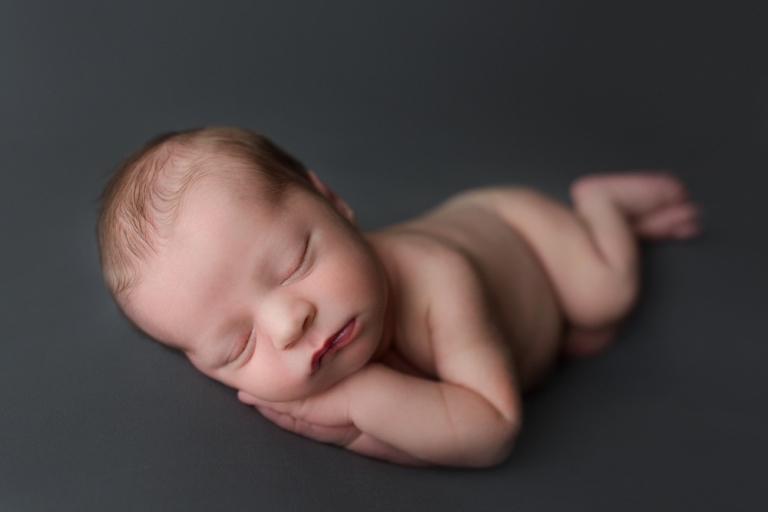 Fast forward to their newborn session in my downtown Puyallup studio and I got to snuggle this handsome boy! Mom requested grays and blues for the session and I think they complimented his gorgeous skin color so well! And as you can see, he slept like a dream! I barely even heard a peep out of him! Jett is so loved too! He has 2 older brothers and 2 older sisters who simply adore him! They were the sweetest kids too! The youngest boy must have given me 25 hugs while we were there and it melted my heart! Being able to meet such wonderful families and loving on kids are some of the best things about my job! And snuggling these tiny little babes too! Christina Mae Photography is a premiere Tacoma newborn photographer located in Puyallup, Washington. Tina is a newborn, baby, maternity, family and child photographer serving Tacoma, Puyallup, Seattle and close surrounding communities.